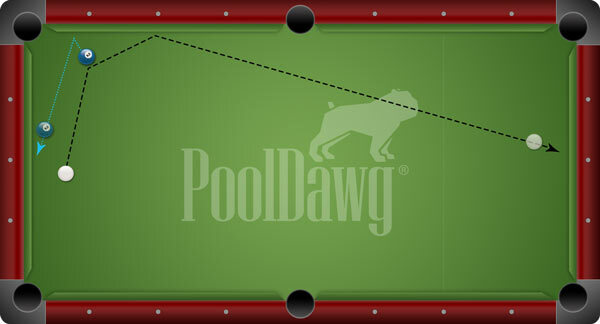 Applying correct mechanics is a critical part of any pool player’s game. However, learning effective strategy is just as important to maintain a high-level of consistency. The primary reason professional players are more successful than intermediate players is because they are much more efficient at managing the game. Simply put, pro players are much better at capitalizing on the weakness areas of their opponents. One winning strategy pros use is called “knitting.” You might be asking yourself “What is knitting?” and “How can it help me play a better game of pool?” The term “knitting” should not be confused with the billiards term “nit,” which is a player or gambler who refuses to bet or wager on a relatively evenly matched game. “Knitting” on the other hand, is doing something simple during a complex game situation. The first thing a player should do is start with then end in mind and try to figure out what their opponent will like the least. Players need to understand that usually this will involve shooting a shot that is fairly simple to execute. Remember to never look for something difficult to do during a high-pressure situation. Many times, shooting the most difficult shot will get you beat. When weighing your options, try to think about the best place to leave your opponent. In 9-ball, many times it will become impossible to snooker your opponent from the contacting the lowest numbered ball on the table. One thing to think about is leaving plenty of green between cue ball and object ball. Another powerful tool is leaving the object ball sitting near either of the two end rails. 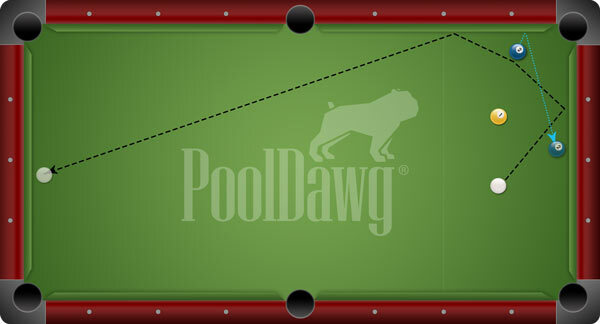 You might ask, “Why is the end cushion a problem?” The answer lies with the fact that balls positioned in this location are often difficult to pocket. Several years ago I was playing in the finals of the Billiard Café 9-Ball Championship in Lancaster, Kentucky. I was left with a difficult off angle bank shot. However, instead of shooting the difficult shot I decided to play a simple safety (as shown in Figure 1). The safety won the tournament. It was the best shot, because I could execute it a higher percentage of the time. The key to executing the shot is to strike about 1/8 of the right side of the object ball with lots of right spin. You will want to practice the shot until you become proficient at leaving the object ball on the middle of the end rail. The right spin will aid you at leaving the cue ball on the opposite end of the table. Once you practice shooting the shot with correct speed you will become very proficient in executing it. In fact, it will become almost automatic. You will also want to note that you can execute the shot from a snookered position (Figure 2). The shot below is a little more difficult to execute but can be mastered after shooting it a few times. The key to this shot is to kick to the bottom rail first with lots of left spin. Again, striking about 1/8 of the object ball using the correct speed. Remember to use lots of sidespin. This will serve to aid you in repositioning the cue ball on the opposite end of the table. So the next time you are faced with a difficult shot remember to look for something simple. “Knitting” may be the answer! Many times the difference between winning and losing may be buying yourself another trip to the table. It’s important to weigh all of your options and to always give yourself the best opportunity to win. Any time you can gain even a one or two percent advantage, it is important to exercise that option. Even small percentages add up over the course of time.